You're hereby invited to a birthday party you won't survive. 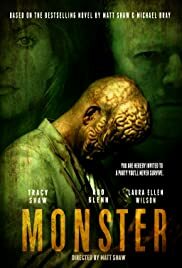 I saw this at a fim festival and I get that this was done on a lowbudget and that money was tight but as a lover of gore I still wanted more but I guess it wasn't that kind of movie. What I can say is that the performances were mostly good. I loved the mum and dad and I thought the monster's make up was good. It is nice to see a different kind of horror film though as jumpscares are getting borring and I have seriously had enough of remakes and zombies. After the film I found myself thinking back to it quite a lot, thinking that there are probably people out there who are actually like this!